7 Places to Visit in Nassau, the Bahamas - Fit, Fabulous and Forty! Nassau is the capital and a commercial centre of the Commonwealth of the Bahamas. 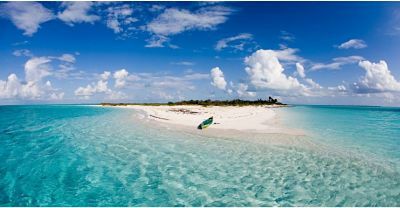 It is situated on the 11th largest island in the Bahamas on a 21-mile-long New Providence. Situated on the famous Paradise Island, this place has an exquisitely long list of things to offer. As one would expect from a city on Paradise Island, you won’t get closer to a paradise than this one. The place is known to induce euphoria in every traveller who decides to travel on this gorgeous and culturally rich land. And as one would expect from a capital city, it isn’t short on amenities either. You can easily get rentals in Nassau and at quite cheap rates too if you book early. So, without further ado, here are the top seven places where you can visit and enjoy some fun activities while you are in Nassau. If you have got proper certification, you can experience the thrill of diving into the water with the sharks and swim with them and, consequently, cross off shark diving off your to-do list. You will be taken to the famous Shark Wall where you’ll spend around three hours diving in a two tank and swim along with Caribbean reef sharks throughout your dive. If you opt to go for a second dive, you’ll see the instructors feeding those sharks from at the end of a pole which, in itself, is quite an experience. You don’t easily get to experience something like that unless you are watching it on a television. If sharks are too much for you, you can always opt for a safer option. At Stingray Lagoon, you are offered the opportunity to dive into a shallow lagoon and feed Cownose stingrays which are indigenous to the Bahamas. You can snorkel with them, while the elders and children get the opportunity to feed them in waist deep water. The whole experience lasts around 45 minutes and is definitely going to give you a marvellous and memorable experience that you can share with your friends and family for the rest of your life. If you want to experience the culture and see the deep, historic roots of the country, this is the place to go. Very rich with history and a number of preserved sites, here you can experience the culture of the Bahamas to full extent. You can find the heritage and remnants of the three major groups that had a major impact on this country’s culture i.e. the Africans, the Lucayans, and the Loyalists. Go for a walk amongst the many twisting trails in the park and you’ll come across many types of ecosystems such as cliffs, dunes, rocky shorelines, native coppice, coastal wetlands and more. If you are going to opt for the Clifton Heritage National Park, you will quickly realise that giving this place even an entire day might not be enough for you to experience this to its fullest, so do make sure to plan accordingly. One of the main tourist attractions, and rightly so, this place is one that you must not skip. Offering one of the best pirate attractions in the world, Pirates of Nassau Museum place offers an expansive experience without the cringe-worthy lameness of the pirate attractions elsewhere. Built on a replica pirate ship with every detail of a real pirate ship, like hammocks and canons and live-action pirates all playing their roles, you get to leave the real world behind and enter into your childhood pirate fantasy world. This one is more of a self-ride as you take a stroll around the museum and explore real artefacts of pirates, pirate history and delve deeper into the world of the great pirates in history. If you can explore this place without getting giddy over the details and exquisite artefacts, you seriously do have a lot of control. At Atlantis Paradise Island, you can experience the most exquisite underwater experience you ever will in your life. With more than 8 million gallons of ocean water, over 200 marine species all across 14 lagoons, here you can pet stingrays, hang out and play with the sea lions, snorkel along with dolphins, ride the giant waterslide through a shark habitat and much more. The number of activities you can do here are unimaginable and it has so much to offer, you will have a hard time deciding on which activity to do first! This park is the star attraction in Nassau. Established in the year 1977, this park is spread over 40 acres and has one of the largest underwater cave systems in the world. Two of these caves are open for public and they are a sight to behold and, in all its grandeur, they offer you with one of the best sights you can set your eyes on in this life. If you have a permit, you are also allowed to dive into the waters in these caves, otherwise, it’s prohibited for the rest of the public. This park is also a home to secluded beaches over at the Gold Rock Beach area, where you can find some beautiful white sand beaches with to rate shelling. Did you really experience the Bahamas if you didn’t try the rum and whiskey made there? No, you didn’t. Although it has nothing to do with the real pirate, John Watling’s Distillery is a huge estate which offers you a tour of how their product is made. While on the tour, you come across the Red Turtle Tavern where you can sample some of their best stuff. What are you waiting for then? Go live the best of the Bahamas experience and make some memories that will surely last a lifetime. The best thing about this place is that it’s suitable for any type of trip, whether it be a family trip, a solo one or with your buddies. So, set your calendar, start packing those bags, and expose yourself to the true spirit of the Bahamas.